Earth Day began on April 22, 1970. It is a day where we can reflect on our planet, our environment and the ways we can keep them healthy. Since the 70's, children and schools were approached to support the formation and continuation of this special day. After all, children have the most important stake in keeping our planet healthy. On this day, kids can plant a tree, learn about endangered wildlife, or even walk to school rather than riding in a car. While preschoolers and early elementary students are indeed too young to understand the details and ramifications of a gigantic ice shelf crumbling in Antarctica, they are not too young to become environmentally aware. That awareness starts with both their families and their childcare providers working in partnership for young kids to do their part in helping to preserve the planet. 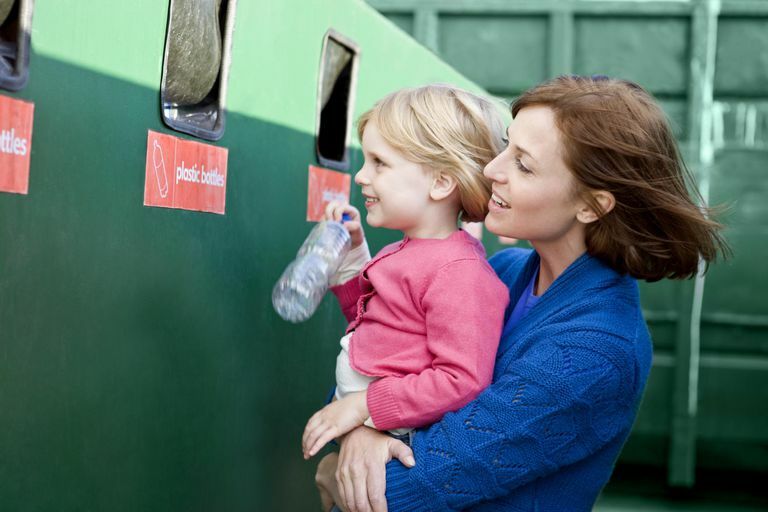 Even toddlers can learn the basics of recycling, not using "smelly" chemicals on things, and why planting trees and plants to replace ones that are taken is very important. A kid old enough to throw trash away is old enough to learn to sort paper from plastic (with adult supervision at first)and to turn off lights when not in a room. Kids who are a little older can also help with community trash pickup days (have them wear gloves at the very minimum), learn how to compost and how to save water. Younger children can get a feel for what Earth Day is all about by singing songs, coloring pictures and making crafts. Creative early educators and elementary school teachers often use the Earth Day events as a way to jump-start environmental consciousness with kids in their care. As kids learn about ways to conserve, they often become environmental zealots amongst their friends and with family members. Oftentimes, involved parents often spur environmental solutions with care providers, coaches, and other adults who interact with and supervise kids, thus having an opportunity to role model responsible behaviors.